I think I've figured out a way to measure how old I'm getting. See if I know what cartoons are "cool" right now. First it was Bubble Guppies, then someone told me about Ninjago and now this... 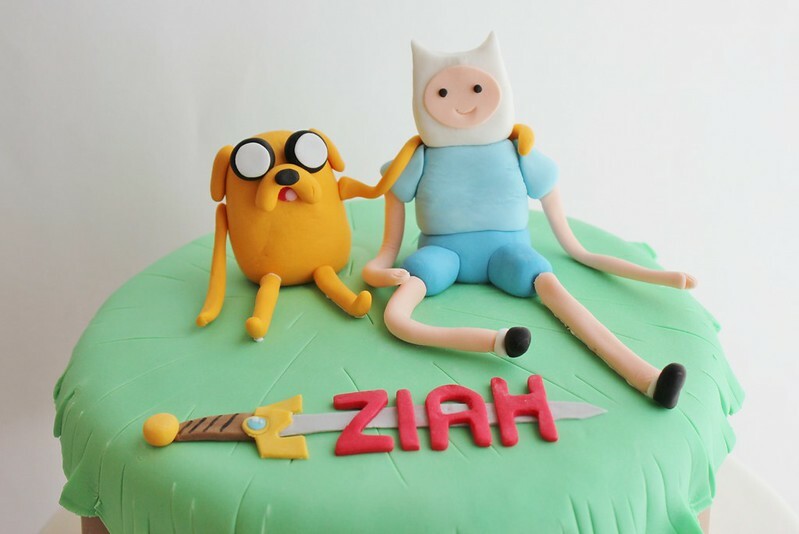 Adventure Time? How do you keep up with the play if you don't have children? Don't get me wrong, I loved my late 90's early 2000's cartoons. Give me Hey Arnold, Doug or Pinky and the Brain cake and I'd know exactly what you were talking about but nowadays it's all new to me! As I was feeling a little out of the loop I Googled for ideas for this so called "cool" cartoon. 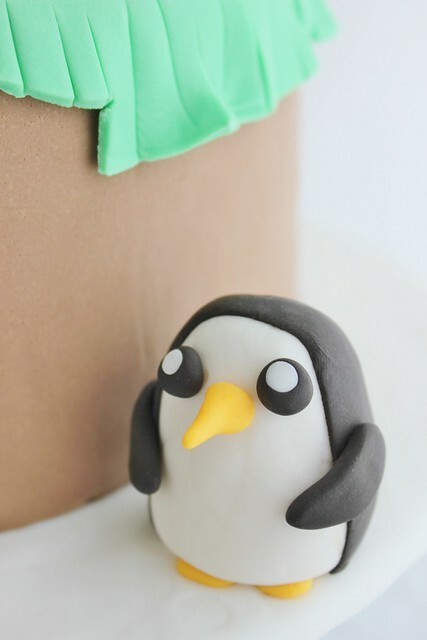 I emailed photos to my friend whose son the cake was for and we threw around some ideas. I found out his favourite characters were the penguin and the boy then decided to do my own research and watched an episode. 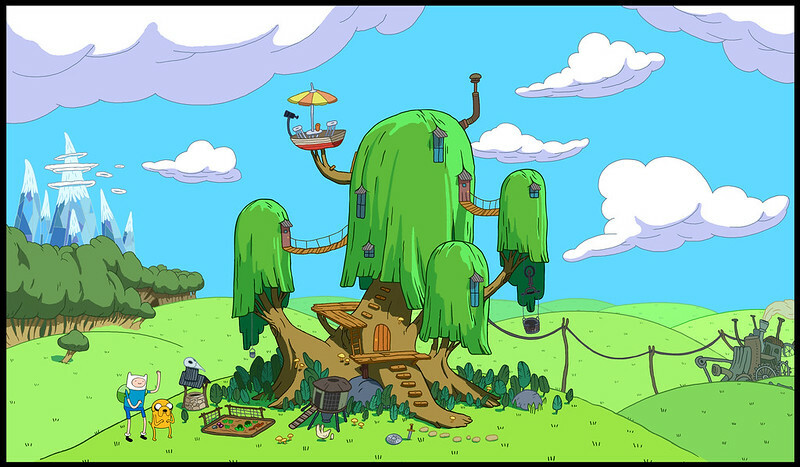 So it turns out Adventure Time is pretty cool. Random is probably the word I would use to describe it. 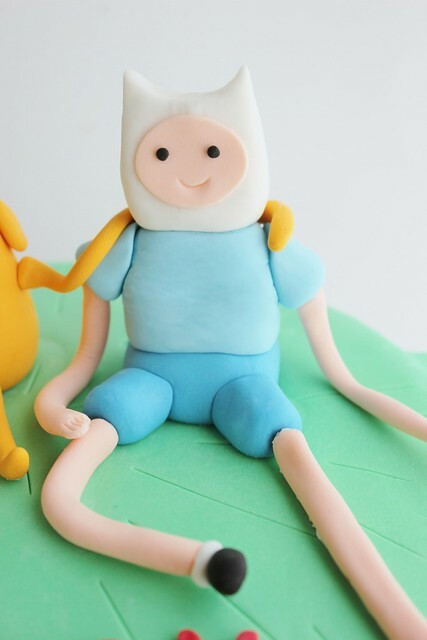 I'll do my best to explain: So there's this boy who is friends with a stretchy dog who can turn himself into anything. In this episode I found out that the dog has a girlfriend who is a Rainicorn (a rainbow unicorn, of course) he is meeting her parents for the first time but is very nervous as they are pretty much racist against dogs. Heavy stuff. So it ends up with lots of nonsense and throwing of sauce. But it ends well and I did find myself laughing out loud. I tried to make the top look like the leaves of the tree which were oddly squarish. I made the dog and the boy (who are best homies) hugging, with the dogs freakishly long arm stretching far over for the hug. 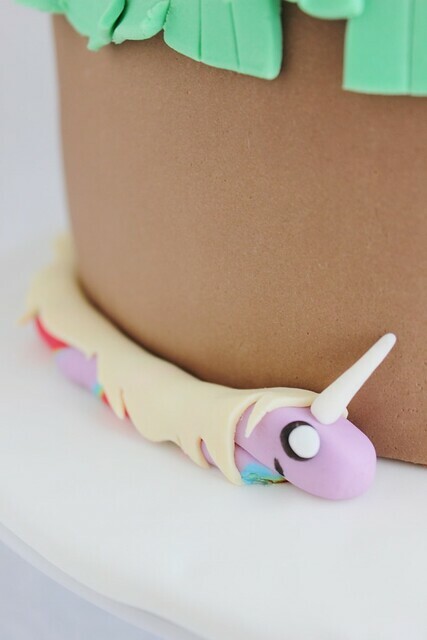 I made sure I included the infamous penguin (sad that he didn't feature in the episode I watched) and I thought the rainicorn looked perfect to wrap around the side of the cake, though she wasn't easy to create! 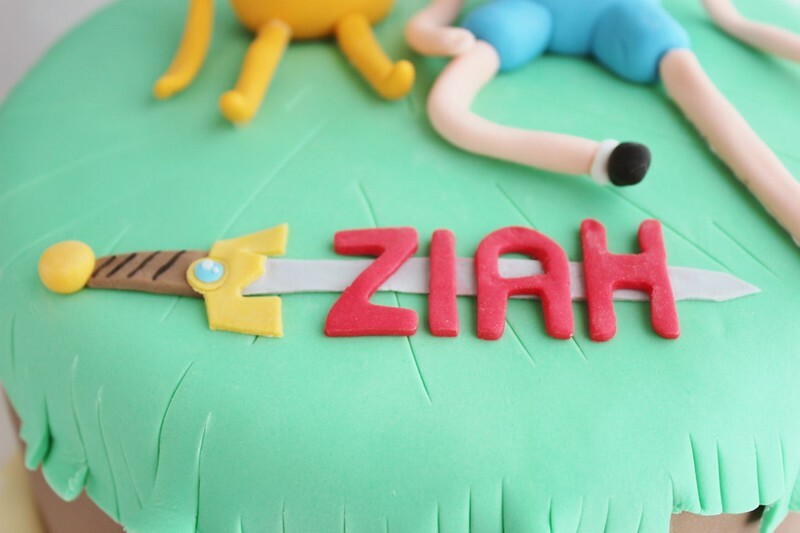 I finished the cake off with the Adventure Time logo and sword (don't even ask, I didn't!) 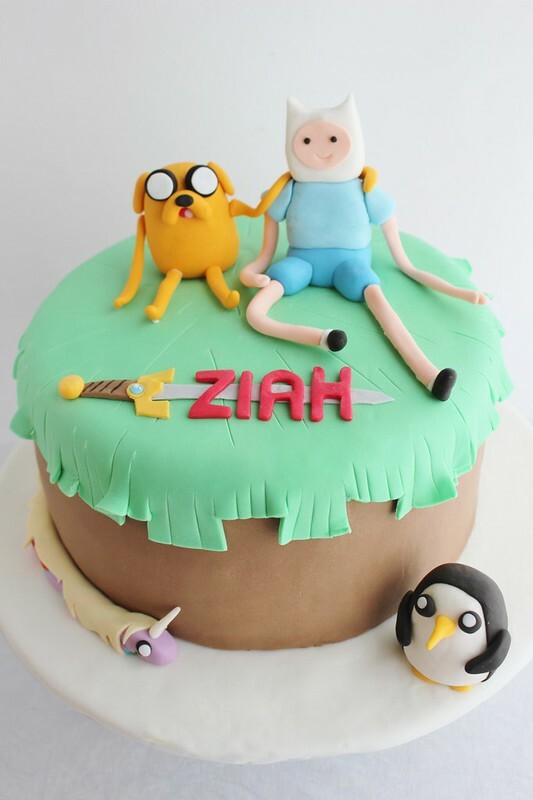 but of course with the birthday boys name, Ziah. Maybe I should set aside some time to catch up on what is "hip" in the world of children's television. 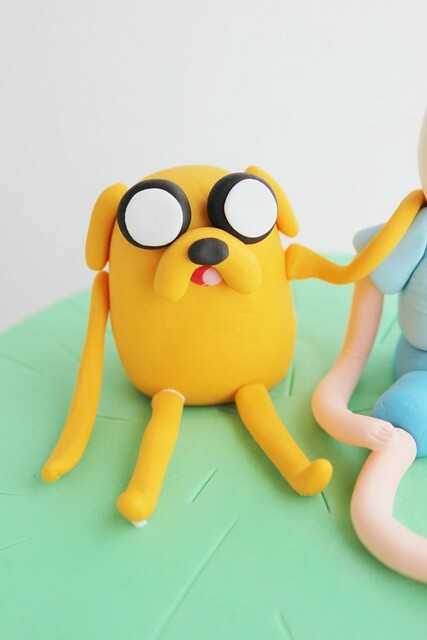 Since I posted on Facebook about this cake people have been requesting a Regular Show cake. Whatever that is. Oh man I'm getting old. I have no idea what all those other kid cartoons are, but Adventure Time and (especially) Regular Show are like bro-toons. So you're not old for not knowing about them, just lame ;-) My cover pic at the mo is Regular Show!